Where to begin? Once upon a time, oh wait! That’s not it. The Mortal Instruments, these books were first recommend by a friend a long long time ago, I didn’t listen to his recommendations not in the slightest, he even sent me the books (Yes Ebook reader here, in case you didn’t know), I was like “Yes, I’ll read them” and then I would add a muttered: Someday. I was so mistaken then, The Mortal Instruments are great, please do not let the movie trick you, they gave it a good try with that and we fans hope they do better with the TV Series, the movie has three great things: Jamie Campbell Bower, Jonathan Rhys Meyer, Aidan Turner. Oh! Make that 4 things with Lena Headey. So yes, it could have been awesome if they had known who would be watching the movie. Done with that. The rest of the actors were alright too but the books are so much better, really done now. The so-called review starts now. Since the books are the important thing here, here’s the list of them, in case you are here but have no idea about what this world is about or where it begun. They are quite the pack, you can’t read one and stop and begin later on in life, they are meant to be read one after the other. Well at least that is how I read them, mainly because I could not stop myself, they were intoxicating. They all have little things to fix upon but I liked the 3rd one and the 5th, actually I was kind of suffering a bit on the 5th and then… it was over, so suddenly and leaving me waiting for City of Heavenly Fire (scheduled 27 May 2014), let us hope that is the date, that in three months I would be able to read it. Shall I talk about the characters? 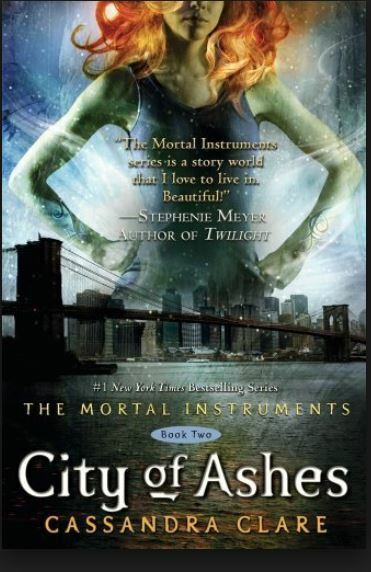 I think it is only fair, women on these books don’t hold much of my attention except for Isabelle Lightwood, she’s awesome. Clary Fray I have mentioned her before, sometimes she’s annoying sometimes she isn’t, end of the story. That was a bit short, they are not the only ones in the story and they have their moments of awesomeness, yes. But let’s name the main characters for a moment so you will know what to expect. If you do not know about the books, then you are better of not knowing some of the last names for the moment, trust me. The male characters (*Big smile*), Jace, arrogant, gorgeous, overconfident, golden haired, see a pattern? I like him actually, I found him hilarious, well he is not the only one that I found hilarious in the book, which brings me to the second character that I Love in these Books, actually he should had been before Jace, is Magnus Bane, I will use a phrase I don’t normally use: OMFG! Because whenever I read a shadowhunter book and he happens to walk by and say something, you just cling to it, you want to see him in every book, he is that good. 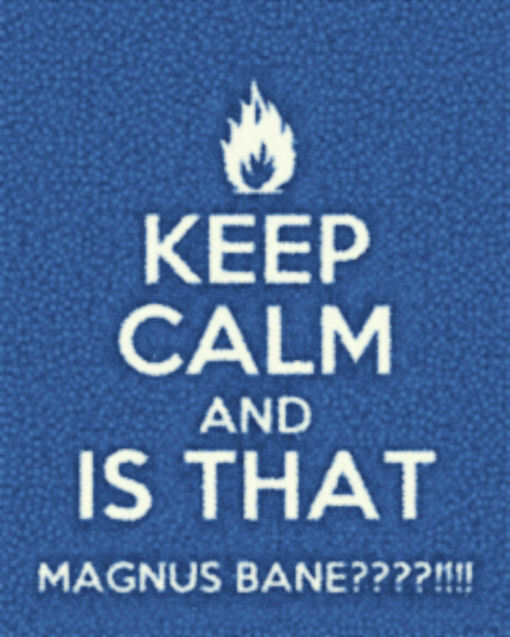 Magnus is too amazing to be true (he isn’t real obviously). I adore that character, him and Alec Lightwood. I believe Cassandra did a nice job there with those two. Magnus for instance is funny, beautiful, has the most eerie eyes and… I don’t know how to describe him, you’d have to read and find out. I imagine Alec like a “cutie”, he is adorable, can be shy at times, mind you he did some things which made me scream at the scream of my phone, ordering him to please stop and yet all in all, at the end of the day I would read a book just with him and Magnus and be quite content, and Izzy. That is another story, and Cassandra might hear our prayers. There are The Infernal Devices, also by Cassandra, I haven’t read them yet, even though they are on my list but I know that if I start reading it will probably be like a drug, like The Mortal Instruments were or Divergent or Lux Novels or Drákon Series (which by the way is the series I am currently reading), I can’t help myself if the books are good, I have to know all the details, I know all the book lovers understand me. And that is pretty much it, all the books are good, you can read them in about a week or two, if you really read and do nothing else, the characters are well elaborated and you can identify to some of them. If you already read the book I hope you enjoyed them just much, and if you have not then now would be a good time to start. All that I wrote above, was written before the Shadowhunters TV was out and before I read The Infernal Devices and The Dark Artifices, and The Bane Chronicles and Tales from the Shadowhunter Academy, all of which are incredible. You could be reading about the shadow world for months and always find something new, these series, this world that Cassie Clare created has reached incredible proportions, if you want to start years in the past then begin with The Infernal Devices but only if you are ready to begin an adventure, that will have you learning so many names, so many stories, that you will excellent memory or a fan bone in you to keep up. If you read, let me know.